In a rare exhibition of substance over style the various artistes compilation Reggae Grass Roots Volume 1 from Donsome Records continues a trend of deliciously appetizing treats waiting to be consumed by lovers of good music. While the majority of today’s music seems to focus more on hype rather than substance, Reggae Grass Roots Vol 1 showcases keepsake melodies and vocal prowess. Adrian ‘Donsome’ Hanson and his musical partner Shady teamed up to produce the Reggae Grass Roots compilation which is expected to become an annual series. ‘I wanted to do an album that is full of roots, real grass roots music, with positive messages. So while I was putting the tracks together, I kept saying this is real reggae grass roots messages and by the time we finished the album, we stuck with the theme”, Hanson explained in a release to the media. Securing the artistes for involvement in the project wasn’t a tedious task as the producer was already familiar with most of the collaborators from a previous project. Feedback to the project has been nothing short of overwhelming. “It’s hard to single out a one song because the feedback is so great. The reaction from real lovers of roots and reggae music have indicated that this is a nice reggae roots vibes for the summer”, said Hanson. Comparing his latest project with his previous work, the producer pointed out that Reggae Grass Roots Vol. 1 is evidence that his work as a producer keeps getting better as time goes by. 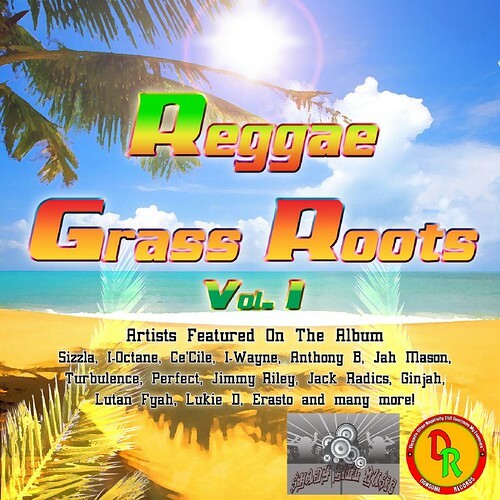 Featured on the Reggae Grass Roots Vol. 1 compilation are Tek Away by Erasto; Famine and Drought by I Wayne, What a Whoa by Lutan Fyah; Da Truth by Ce’Cile; Jah Will See Us Thru by Ancient; Speedy by Jah Mason; Put it Away by Sizzla; Lost our Way by I Octane; Tired of Sleeping in the Rain by Anthony B; We Trade by Miss Diva; Black Seeds by Perfect; Time by Turbulence; Holding Down by Rage featuring Lukie D; Pull Your Kotch by Jack Radics; Guide and Protect by Ginjah; Yardie by Lukie D featuring Busy Signal; No Matter Dem by Jimmy Riley featuring Kush Riley; and Man a Yaad by Jigsy King featuring Tony Curtis.